I haven’t updated my blog for some time as I’ve been out on Maternity leave. While I was gone, I paid a visit to Teacher’s Treasures, a place for teachers to collect donated supplies. One if the items on offer was glitter glue sticks. I left with a huge bag of them and no idea how they would be used! 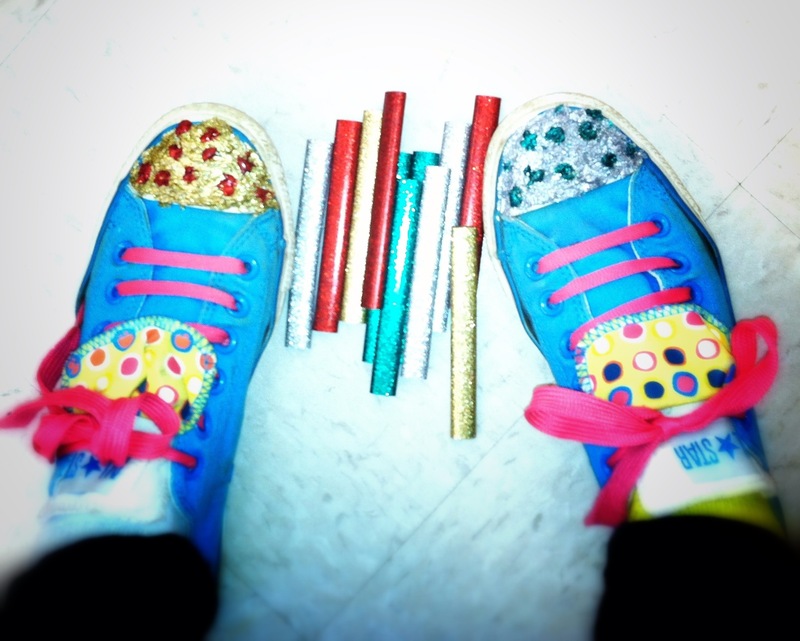 On Thursday, I presented the glitter sticks to my New Tech Craft Club and we started to brainstorm ideas. There are several mini projects in the works but I really liked one student’s fashion accessorising as she melted the sticks and began to personalise her shoes. I can’t wait to see what else these creative kids do.